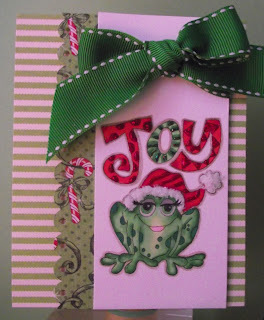 Here is a card made with a Whipper Snapper stamp. Recently discovered these and I LOVE them. This frog was so fun to work with!